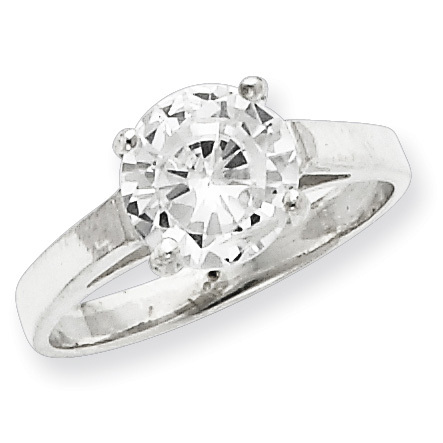 Sterling silver 8mm round cubic zirconia solitaire ring has four prongs. This 8mm stone is the size of a 2 carat diamond. Weight: 3.4 grams.